Polaris Industries is an American manufacturer of snowmobiles, ATV, and neighborhood electric vehicles. The company is also the manufacturer of Victory and Indian motorcycles. Polaris approached us to create a fun and engaging website that enabled consumers to compare Polaris Sportsman ATVs to a leading competitor’s product. 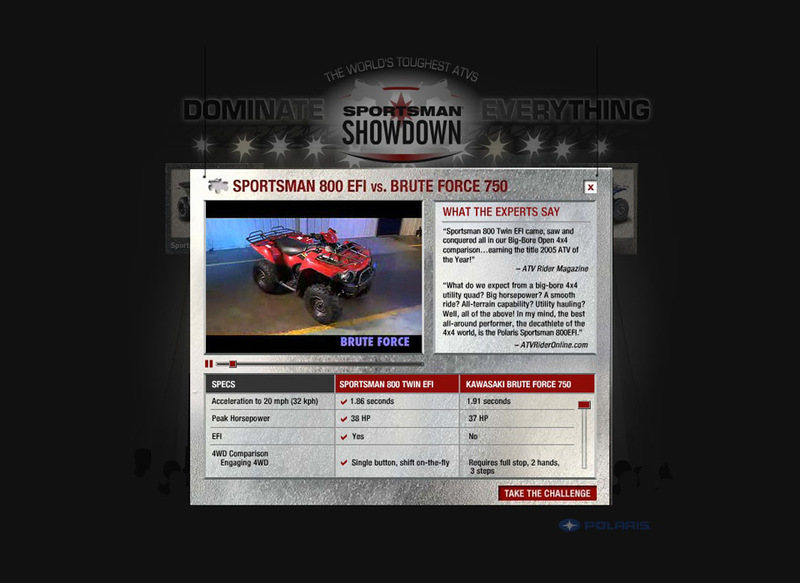 The website contained several videos that rated ATVs in speed, durability, and overall performance. 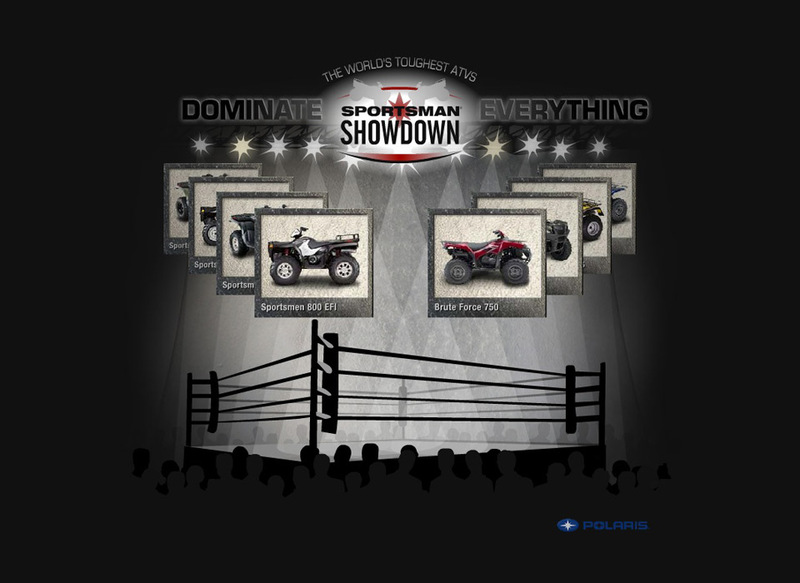 When the user selected a Polaris ATV, a comparable competitor product was also presented. Then, a head-to-head video began to play, comparing the features and benefits of each product. Additional product information was also presented via copy and animated charts. 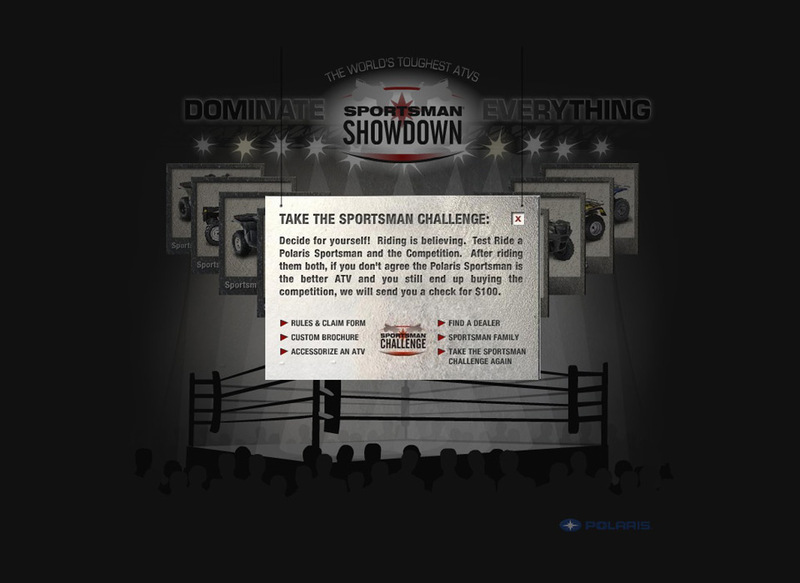 Users were then encouraged to visit a local Polaris dealer and take the Sportsman Challenge for themselves. If after comparing the two products, if the consumer still chose to purchase the competitors product, Polaris would pay the consumer $100 towards their new ATV.